I love growing weed and I keep all my marijuana grow journals here on 420 Dot Com. The picture on the left is one of my Biker Kush girls grown in my high pressure aeroponics system. Most of my first grows used my diy high pressure aeroponic system for which I have provided some basic building instructions. Although I don't really consider myself an expert, I do like to share what I learn and pass on tips on how to grow weed indoors. I started out growing in coco and got pretty decent results. I then tried several hydroponic growing systems and they gave me faster harvests and higher yield. But I was always looking for a better way to grow weed and moving on to aeroponics has brought things to a whole new level. I get faster growth, better resin production and higher potency with aeroponics. I also get much better taste and smell in an aeroponic system. Plus I use a lot less nutes to do it. I don't grow outdoors because I feel it is too risky. I don't want my crops ripped off by free loaders and the weather here in Western Washington is not really the best because of fall rains and relatively cool summers. That means there are a lot of strains that I would not be able to ripen properly. I would love to have a sealed grow room and be able to use CO2, but for now I am limited to closet grows. Sure I would love to have a large commercial grow op. But that's not reality for me or most of you. But if you are a closet grower, use a grow tent or maybe just considering growing weed for the first time then 420DotCom.Com will be right up your alley. Do you grow your own bud or want to learn how to grow? 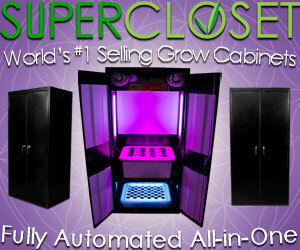 Well Then What Are You Waiting For - Let's Get Started Growing Weed Indoors! Time To Get Your Grow Room Set Up! Don't you wish this grow room was yours? I sure wish it was mine! You can still grow plenty of cannabis with a grow closet, grow tent or stealth grow box. Ditch the dealer or dispensary and save your money. A grow tent is a great way to set up a grow room where you can easily control your growing environment. Plus if you move you can fold up your grow room and take it with you! Whatever you spend setting up your grow will pay you back tenfold. I love aeroponics and I could look at the roots all day! Not to mention the plants themselves. Can you see the fine mist? But Aeroponics Is Definitely Not For Everyone! If you are a new grower I don't recommend it. Start out growing in coco or with deep water culture using bubble buckets. Ebb and flow systems are great with coco too! Have Been Growing A While? Beautiful Hells Angel OG Buds - I really like this breeder, everything he touches is pure fire! No matter how well you dial in your grow room or what expensive nutes you feed your ladies, genetics will always be the limiting factor. Without dialing in your grow room and feeding quality weed nutrients your genetics will never show their true potential! There is no best growing system but this is the secret to the best way to grow weed no matter what system you use. What Does It Take To Grow The Best Weed? - Frequently Asked Questions. What Strains Should I Grow? It depends on your preferences. Do you want an up Sativa high, couchlock indica or something in between? Do you want max yield or is taste and potency more important? Some strains are also much easier to grow than others and maturity varies greatly too so do your homework! There are a lot of great breeders and strains. 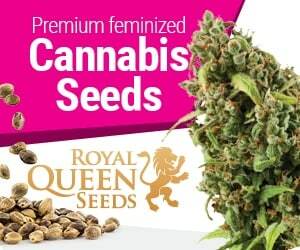 My favorite breeders are Karma Genetics and Sannie's Seeds. I prefer OG or OG hybrids. Lighting is probably the most important thing that will determine your yield of any strain. Some growers get good results with LED grow lights but they are expensive. HID lighting is still the best. Nothing beats High Pressure Sodium lights for flowering. HPS grow lights have better penetration into the canopy and will out yield LEDs. The downside is dealing with the heat they give off. What About Grow Room Environment? Controlling temperature and humidity with proper grow room ventilation plays a huge part in getting great yields. High temperatures cause plants to stretch and make looser buds, while high humidity can cause mildew and bud rot. You will need an exhaust fan and also a fan or fans to provide good air circulation. Ideal temperatures are about 82 at lights on and 10 degrees cooler at night. I would keep my humidity below 50% even lower during late flowering. Books have been written on this! You can grow great weed with just good base A&B flowering nutes. Some strains will need extra Cal/Mag. Don't buy into all the hype out there. I have used Canna, Dutch Master, Heavy 16 and Advanced Nutrients and they all work great. Overfeeding is probably the biggest mistake growers make. Use clean nutes or your sprayers and drip lines can clog. Organics are great but can foul things up. Don’t Pay High Hydro Shop Prices! Amazon offers free stealth shipping on most orders over $25. They have a much larger selection and better prices on everything from nutes to grow lights and grow tents. You can search Amazon right below.